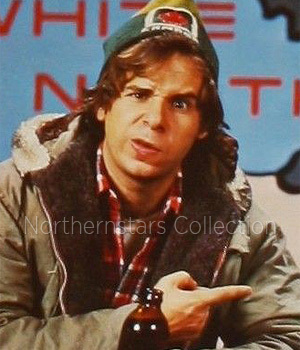 This image of Rick Moranis was scanned and cropped from a lobby card for Strange Brew in the Northernstars Collection. While it’s common for future movie stars to get their start in fringe theatre, small stage roles and television, the days when a career in radio led to the silver screen almost belongs to the distant past, to the time Before Television. Yet, the tradition continues and one such example is Toronto’s Rick Moranis. But it wasn’t exactly a straight line. Learn more about Rick Moranis. 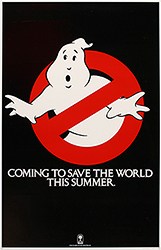 This teaser poster for Ghostbusters was scanned from an original in the Northernstars Collection.